Hello everyone! We are back again for day 3 of Blueberry Week. I thought today’s recipe would be a perfect follow up recipe for yesterday’s body scrub. After scrubbing off all that dead skin, it is essential to moisturize your skin. That is why I chose to use our Body Butter base, it is our thickest lotion base and works wonders on dry skin. This recipe is super simple and only requires some mixing to make it! I’ve included the recipe below, check it out! Q.S. means quantity sufficient. Meaning, you add as much as you want or need. Some people like a brightly colored lotion and others don’t, so it’s up to you! For this recipe, you can mix all the ingredients together directly in the Body Butter bucket or use a bag. I prefer using a bag. You may need an extra set of hands to hold the bucket while you scoop the Body Butter into the bag. Once the butter is in the bag, it can be zipped or tied shut and then kneaded to ensure all the ingredients get mixed together thoroughly. Once all of the ingredients are mixed, cut the corner off the bag and pipe the butter into the jars. The Body Butter Base is so thick, it will only make you crazy if you try to pump this base! The Body Butter Base is even too thick for our High Viscosity Pumps to handle. We highly recommend using jars. I think this Body Butter would make a perfect gift, especially when paired with the Blueberry Bliss Body Scrub from yesterday’s blog. I can’t wait to give some out to all my friends and see what they think! 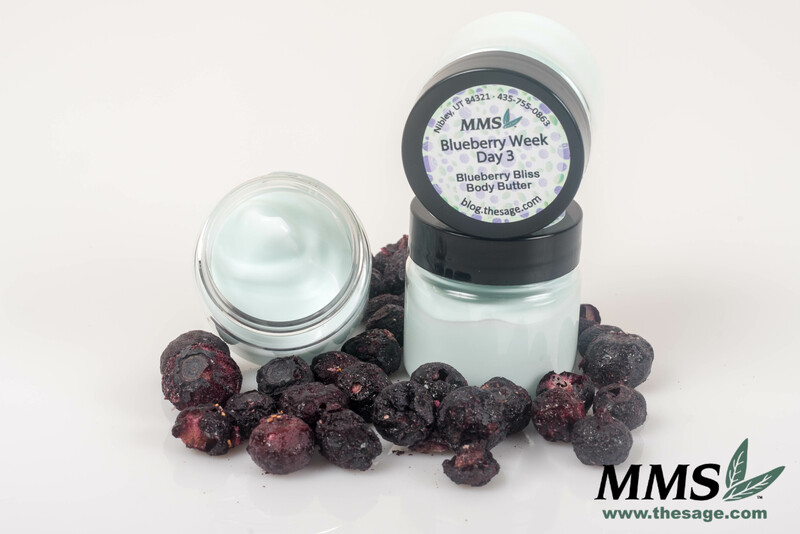 I just received a sample of the blue berry bliss body butter, I love it !! It’s so creamy not greasy and smells amazing!! Yay! The Body Butter Base is one of my favorites. I am so glad you love it!